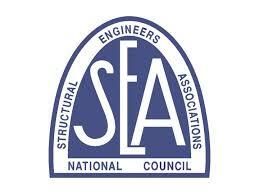 Mudsills bolted to the side of a foundation are used when existing mudsills cannot be accessed. In this illustration, the plywood (also called a diaphragm or Shear Transfer Diaphragm) is nailed to the top of the new mudsill on one side, and to the floor joist where you see the red arrow on the other. When the floor joist moves, that movement is transferred into the Side Bolt Mudsill and into the bolts, thereby preventing movement of the floor and saving the house. 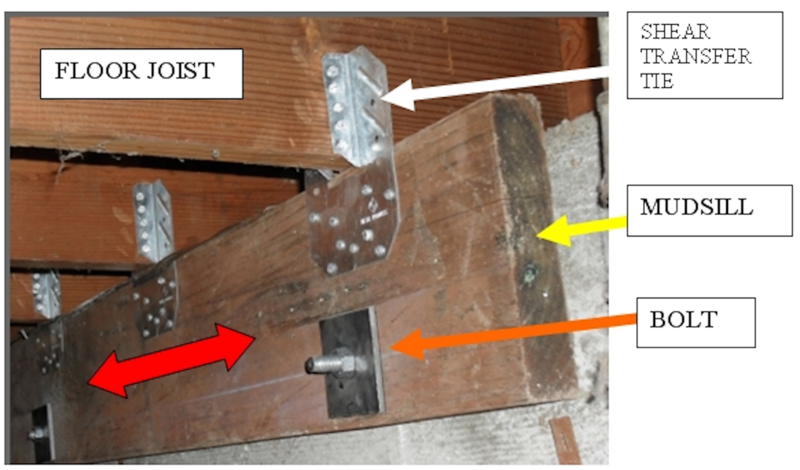 When the floor joists run perpendicular to the foundation, a connection from the floor to the mudsill is made with Shear Transfer Ties. 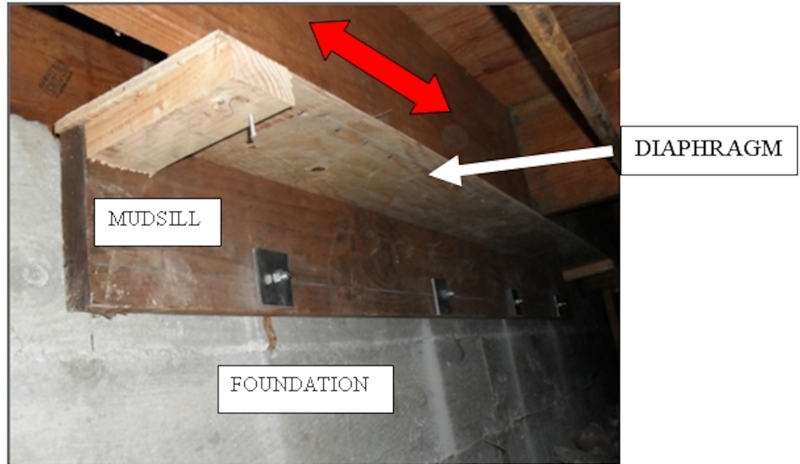 When the Floor Joist moves in the direction of the red arrow, it pushes against the Shear Transfer Tie, which pushes against the mudsill bolted to the side of the foundation and is stopped by the bolts.